Rosa Parks was a remarkable civil rights icon who made history in December 1955 when she boldly refused to give up her seat to a white passenger, but she was not the first person to do this! 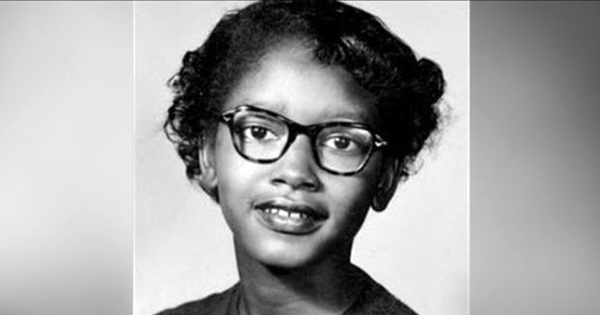 In fact, earlier that year in March, a teenager named Claudette Colvin refused to give up her seat on a Montgomery bus and was the first African American to be arrested for doing so. According to Systematic Female Ratchet - It’s Not the Sistas, It’s the System by Troy Gathers, Colvin was a member of the youth council of the NAACP, and so this incident undoubtedly caught the attention of the NAACP and other Black leaders within the community. Nine months later, when Rosa Parks refused to give up her seat to another white passenger, this brought even more attention to the matter and garnered national attention. For many years, Montgomery's Black leaders did not publicize Colvin as a civil rights pioneer because it was rumored that she had become pregnant by a married man, but those rumors later turned out to be false. Many people call her "the other Rosa Parks," but Colvin is, in fact, an original civil rights pioneer because she was the spark that ignited the bus boycott movement in Montgomery, Alabama. That movement lasted 381 days, and led to the U.S. Supreme Court ruling that segregation on public buses was unconstitutional. Colvin once said, "Young people think Rosa Parks just sat down on a bus and ended segregation, but that wasn't the case at all." She also said that when she decided not to give up her seat to demanding white passengers, she felt like Harriet Tubman's hands were holding her down on one shoulder and Sojourner Truth's hands were holding her down on the other.